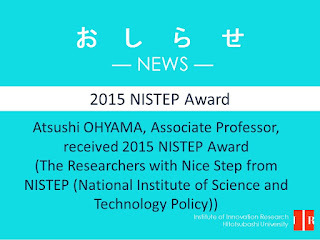 Since 2005, NISTEP has been selecting people who have made significant contributions to science and technology as “NISTEP Award (The Researchers with Nice Step)”. 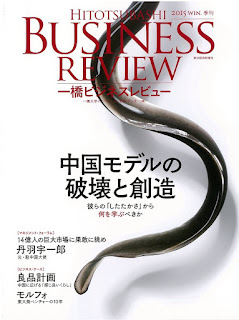 "Lights and Shadows of Chinese Macroeconomy"
"Can the Wenzhou Model That Has Led Spontaneous Capitalism in China Outgrow Itself? 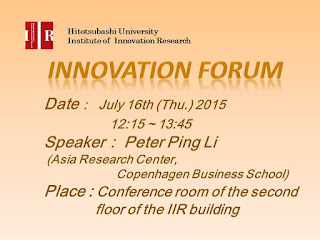 : The Prosperity and Limits of Wenzhou Firms’ Community Capital"
"Effective Mobilization of Scarce Resource through Social Networks: Exploring Mechanisms that Accelerated the Growth of the Chinese PV Industry"
"Alibaba: The Road towards a Multi-platform Empire"
"Growth of China Companies and Reverse Innovation 2.0"
"Conceptualization and Local Adaptation of Strategy"
"Morpho: Decade-long History of Image Processing Technology Venture from University of Tokyo"
"Ryohin Keikaku: Penetrating the Vision of a Simple, Pleasant Life in China"
"On Theories of Familly Business: Yesterday, Today, Tomorrow"
"Family Business Research in Japan"
"Family Business in Post War Japan: Empirical Eudience from Publicly Traded Firms from 1962-2000(IPO Year)"
"Importance of Growth Stages and Governance in the Family Business"
"Strength and Issues of Japanese Family Businesses: Family Charter and Family Office as a Powerful Solution"
"Learn from the Wisdom of hte World's Oldest Business Firm Kongo-gumi: Prerequisites for Longevity from the Aspect of Traditional Industrial Business System"
“Last Frontier” AFRICA: What Do We Lean From There? 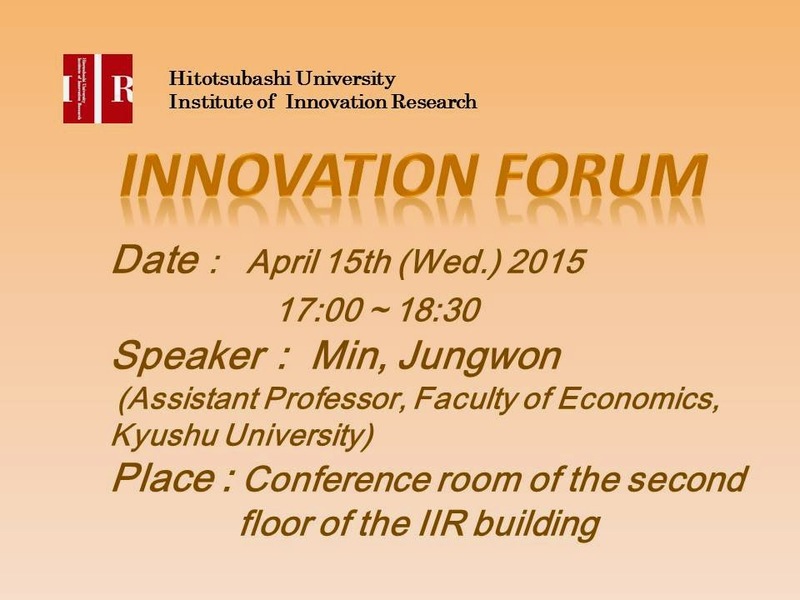 but the One Japan Is Going to Face For the First Time"
A View From Japan Inc."
" New Markets, New Mindsets: Building Business in the African Base"
"Project Finance in Post-conflict and Fragile Situations: What Role For DFIs"
"Japanese Companies Expanding into Africa"
2015 Associate Professor, Institute of Innovation Research, Hitotsubashi University. 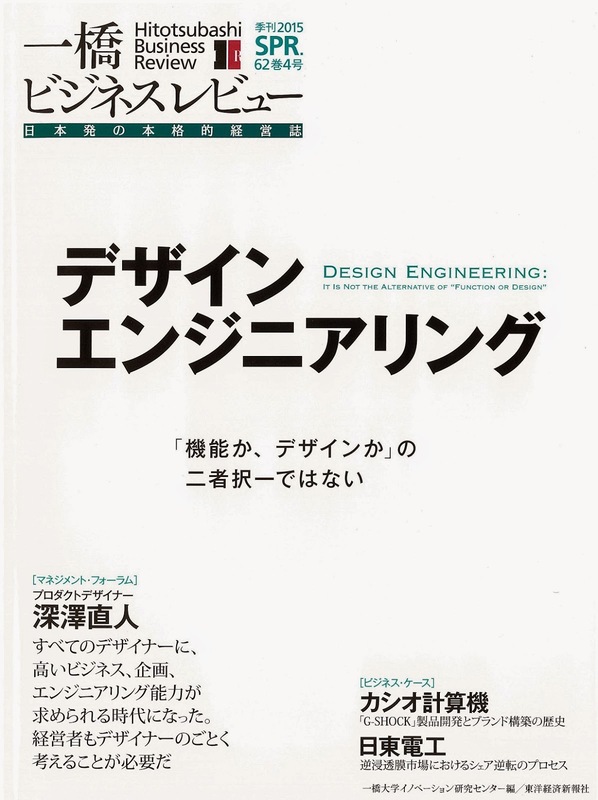 "Creation of Design Value: Toward Integration of Design and Engineering"
"The Age of Design Engineering"
" Practice of Design Engineering"
"Multinational Comparison of Designer's Roll in Bsuiness Process: US-Japan-China Comparison Survey Result"
"Creating Excellent Industrial Designs by Multidisciplinary Engineers and Industrial Designers: An Empirical Study on Japanese Digital Camera Manufacturers"
"Design Knowledge to Lead Engineering toward Human Feelings"
"G-SHOCK: Product Development and Global Branding"
"Nitto Denko: The Mechanism of Turning Over a Disadvantage in the Reverse OsmosisIndustry"
To expand the knowledge and develop the idea for innovation management and Innovation policy making. 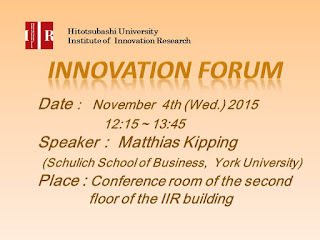 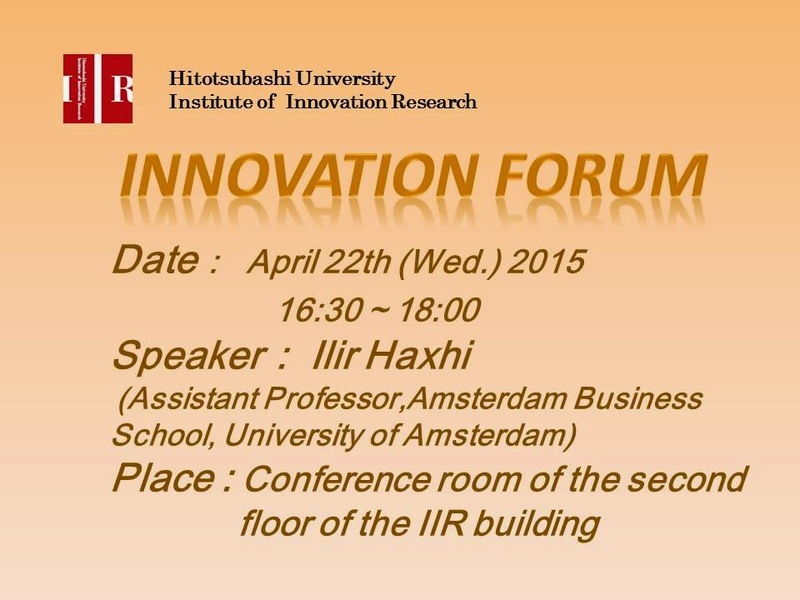 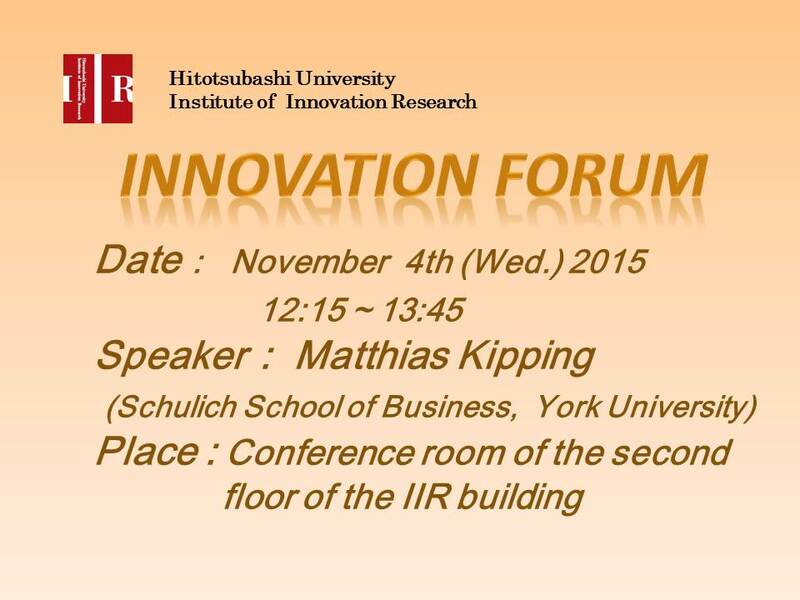 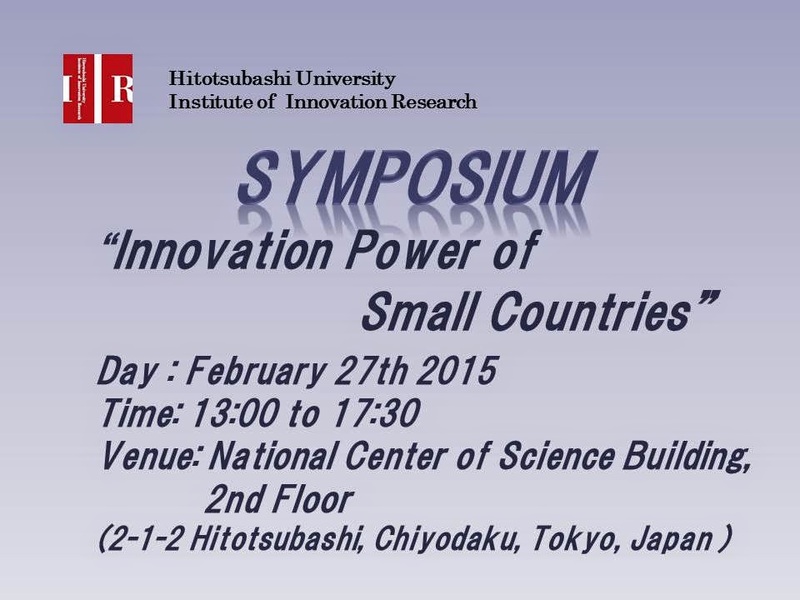 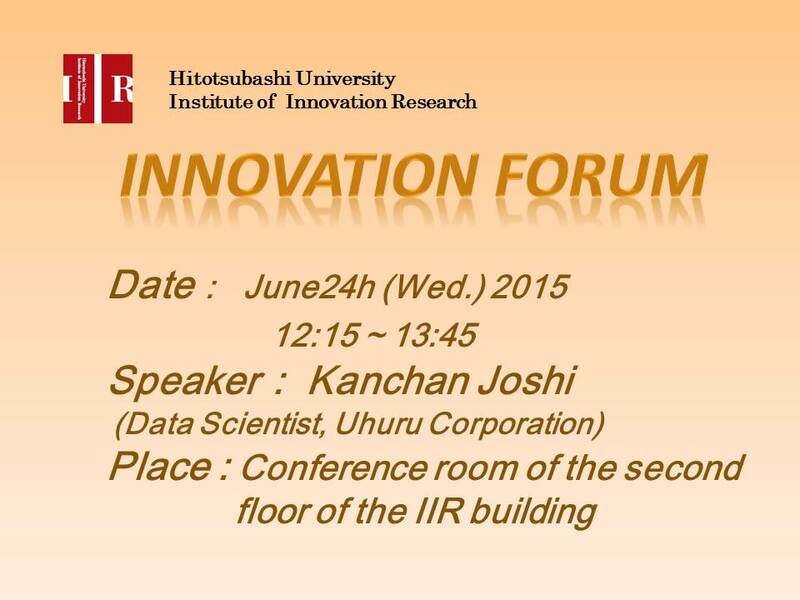 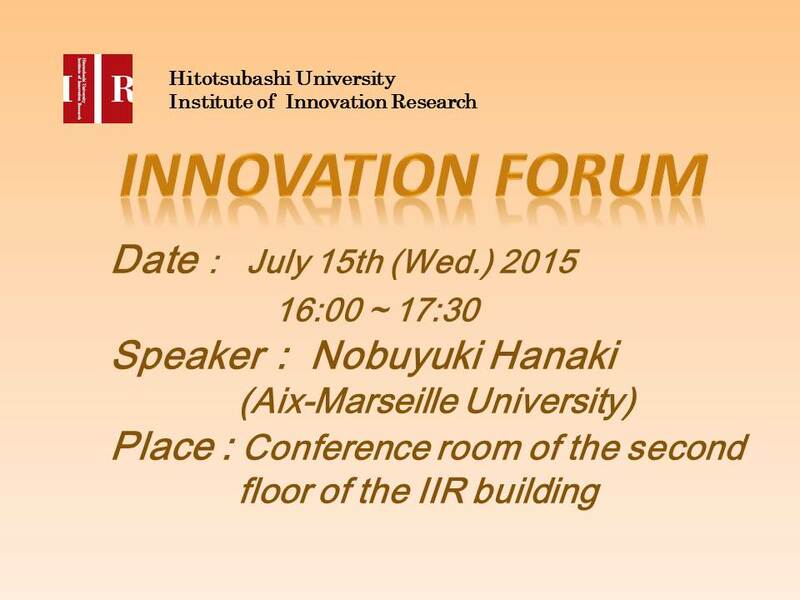 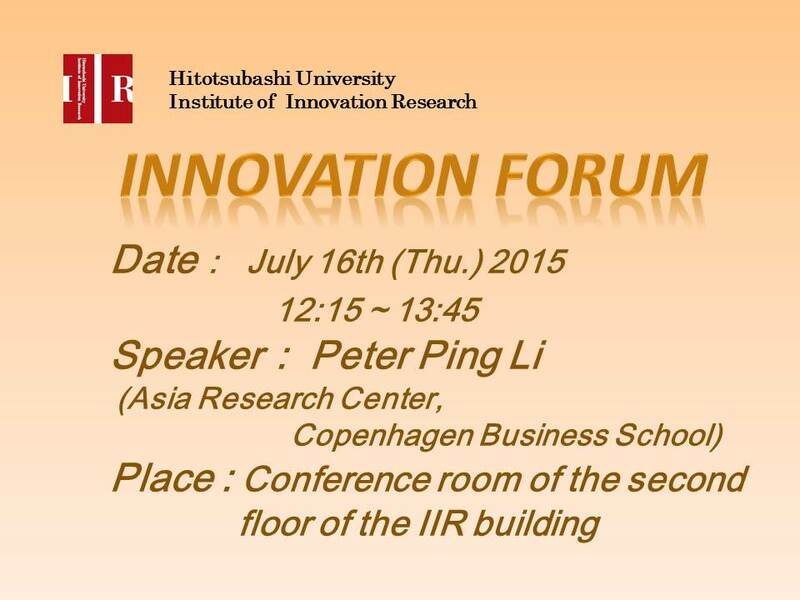 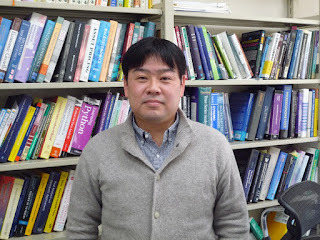 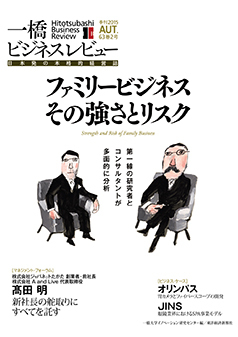 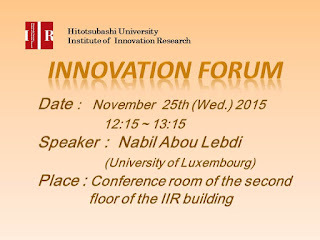 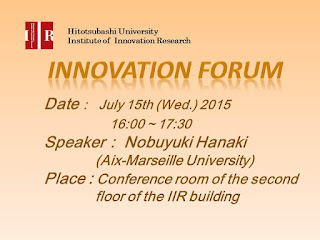 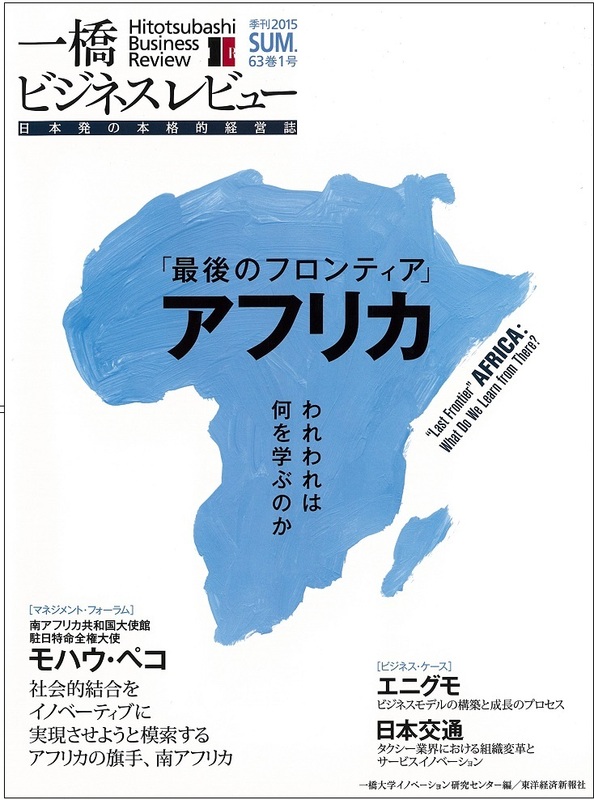 Please contact sympo201502(at)iir.hit-u.ac.jp by 10:00 February 25. 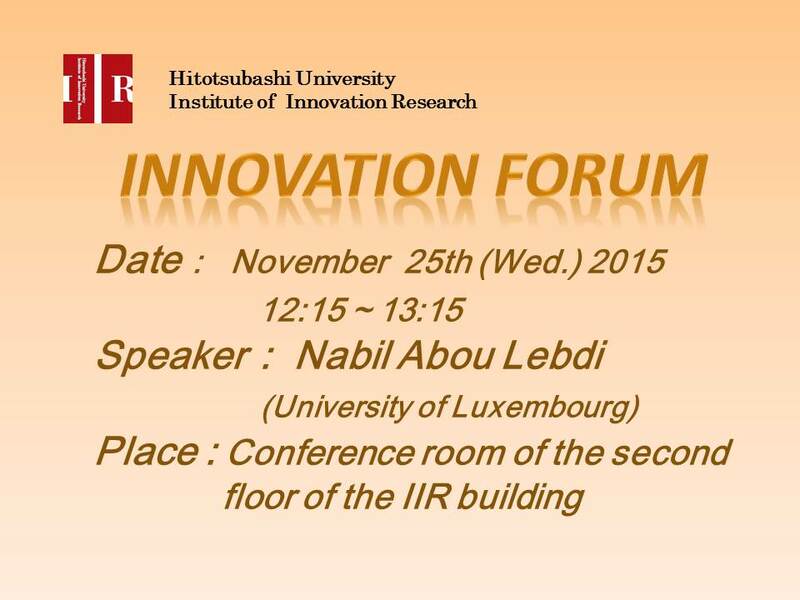 "Feburuary 27th Symposium" in the subject field and send the following information. 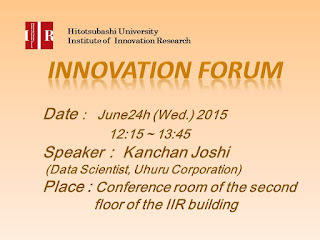 This research project is supported by the JSPS Grant-in-Aid for Scientific Research JSPS(B:26285055). 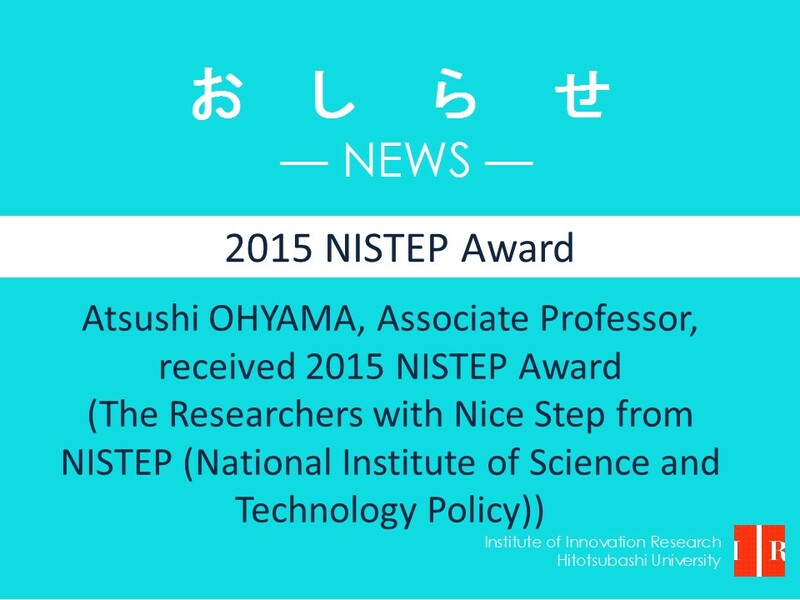 We would like to thank for this. 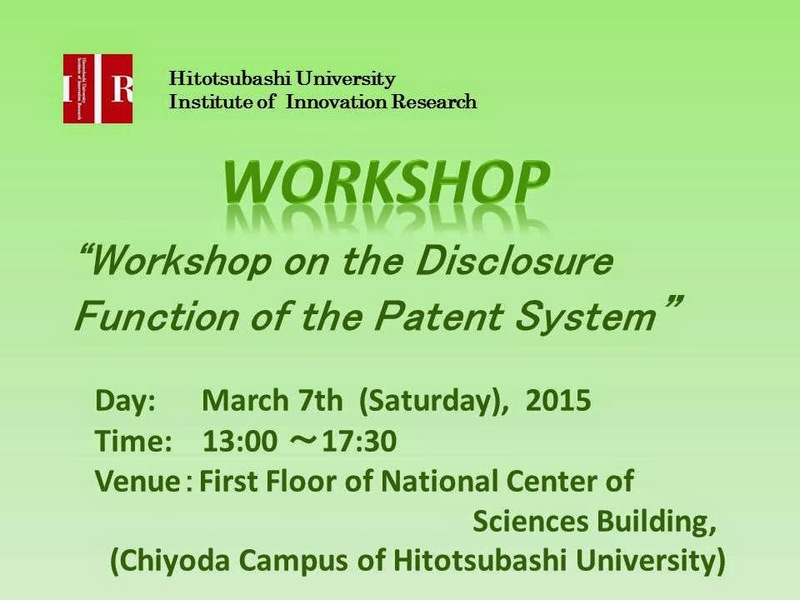 "March 7th Workshop" in the subject field and send the following information.